This city, the province capital, has a population of approximately 360.000 (including suburban areas) and is the seat of the provincial government. It is an important commercial and service center and is the head of a rich area which produces citrus, tobacco, foodstuffs, textiles and timber. There are highways connecting the city with the interior of Mesopotamia, the south of Paraguay and with the state of Rio Grande do Sul (Brazil). Towards the west the General Belgrano bridge over the Paraná river connects Corrientes with the city of Resistencia, the Chaco region and the Argentine north-west. Also, the Mesopot‡mico railway connects it with the south of the province of Entre Ríos, Buenos Aires. Located on the left bank of the Paraná river and up river from the General Belgrano bridge which connects Corrientes with the province of Chaco, this port has good depth alongside and is easy to access making it a good option the year round. 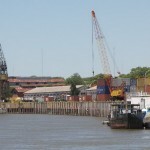 The port and all its facilities are operated by Terminal Portuaria Corrientes S.R.L. 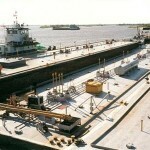 There is a concrete berth 373 m long, with a depth alongside of abt. 3,65 m (14 ft) in the low water season. 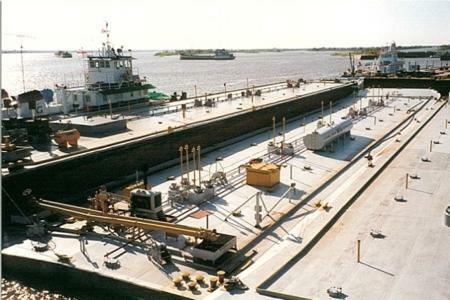 The port can operate with push/pull tugs with ocean going or river barges, passenger ships, tankers, regular cargo vessels and pleasure craft. There are three anchoring areas between Kms. 1194 and 1222 of the Paraná river. There are three sheds totaling 2800 sqm and two open storage areas of 6000 sqm. It is equipped with two mobile cranes 120 and 140 tons capacity, forklifts and a tractor plus one transtainer for container storage. It is currently working with containers and fuels. 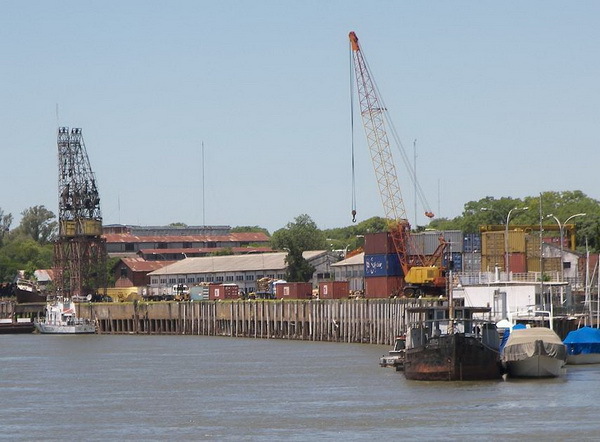 General cargo includes charcoal, timber, leather, lumber for abroad with transhipment at Buenos Aires and Montevideo. General cargo movement 2011 amounted to 23.800 tons. There is fresh water for vessels, electric power, fiscal scale, fire-fighting equipment, fumigation service and garbage collection. The city has loading facilities, land and air transport, medical attention, and regular communications services.